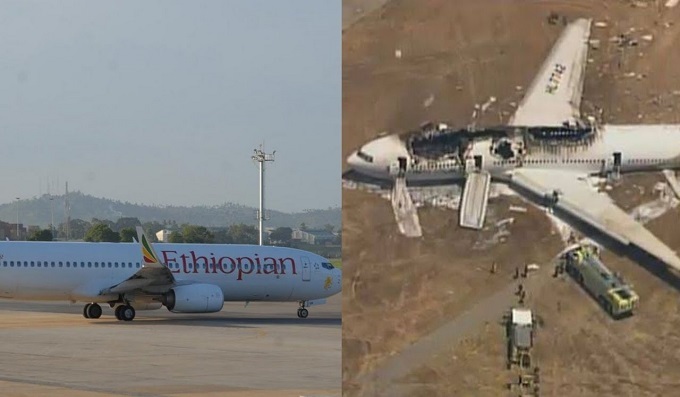 ADDIS ABABA, ETHIOPIA: A brand-new Ethiopian airlines plane bound for Nairobi crashed Sunday, killing all 157 people on board, according to state media. The recently acquired aircraft was the same Boeing 737 Max model involved in the crash of an Indonesian aircraft in October. The state affiliated Fana Broadcasting cited the airline saying there were no survivors from Flight 302. According to the airline, the flight took off at 8:38 am, and lost contact six minutes later, crashing near the city of Bishoftu less than 40 miles to the southeast of Addis Ababa. 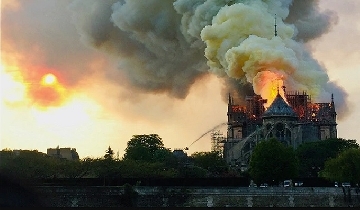 "It is believed that there were 149 passengers and eight crew onboard the flight but we are currently confirming the details of the passenger manifest for the flight," the airline said in a statement. There were 33 different nationalities aboard the flight. The prime minister"s office issued a tweet expressing its "deepest condolences" to the families of those who lost people on the flight. Kenyan President Uhuru Kenyatta also tweeted his condolences. Ethiopian Airlines announced the acquisition of the brand new Max aircraft in July. According to the Swedish Flightradar 24 website, the aircraft had its maiden flight in October. The site added that the flight"s vertical speed was "unstable" after take off. The Max model is the newest version of Boeing"s workhorse 737 model, the world"s most popular commercial aircraft. Boeing issued a statement that it was aware of the accident "and is closely monitoring the situation." Following the crash of Lion Air flight 610 in Indonesia, Boeing issued an emergency notice that an erroneous sensor input could "cause the flight crew to have difficulty controlling the airplane," leading to "possible impact with terrain." In the Lion Air crash, a malfunctioning sensor convinced the airplane"s software that the flight was stalling and corrected by pointing the nose down. Ethiopian Airlines is the continent"s largest airline in terms of destinations and passengers served. It has ambitions to becoming the gateway to Africa. The airline"s last major accident was in 2010 when an aircraft plunged into the Mediterranean shortly after takeoff from Beirut"s airport, killing all 90 people on board.